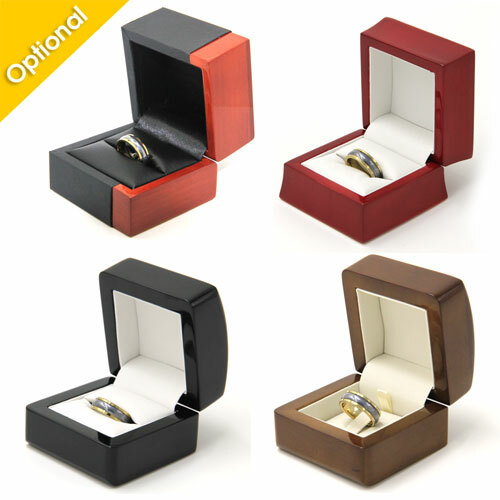 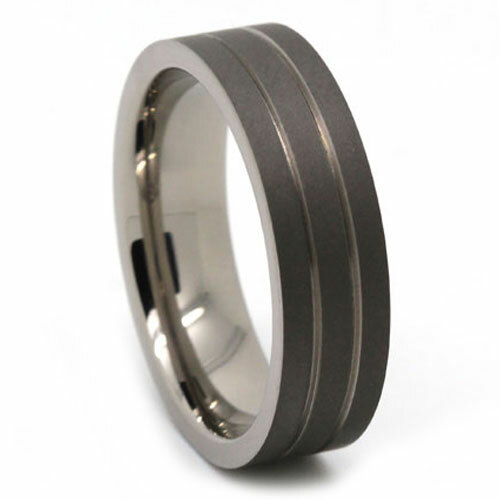 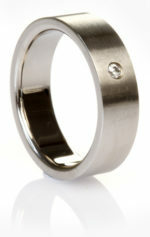 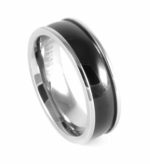 This men’s titanium ring has a flat edge and twin groove accents in the design and features a dark matte finish. It measures 7-millimetres wide. 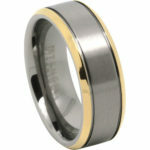 The comfort fit makes it…well comfortable!